Make something delicious from almost nothing! 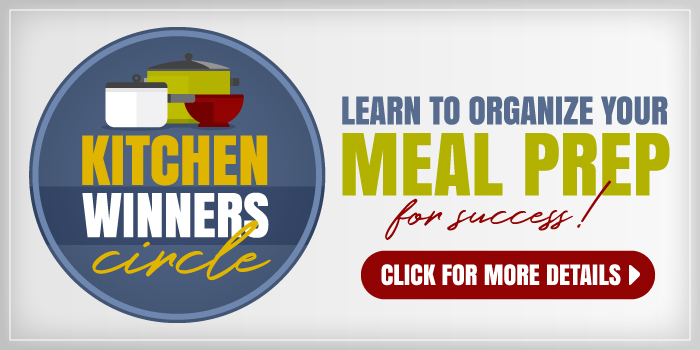 Learn how to make Chicken Stock in the Slow Cooker for the best tasting soups, gravies, and sauces. Making homemade chicken stock is one of the easiest ways to make something from nothing. Okay, almost nothing. If you’ve roasted a whole chicken or baked chicken pieces, save the bones, skin, and drippings to make a delicious broth or stock to use in soups, gravies, or pilafs. The resulting, golden brown goodness will taste much better than anything you could buy in a can or jar. And it’s made from ingredients that you’d probably chuck in the trash otherwise, so it’s basically like making something from nothing. Psst. Pro-tip: You can do the same thing with roast turkey leftovers, only it will be turkey stock! 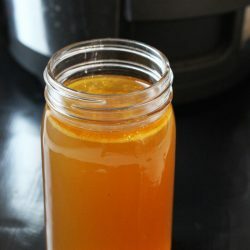 How do you make chicken stock? Simply combine the chicken carcass with vegetables and seasonings and water in a pot. Cook over low heat for several hours. Remove the solids, strain the stock, and use in recipes for soup, gravy, and even rice pilaf. 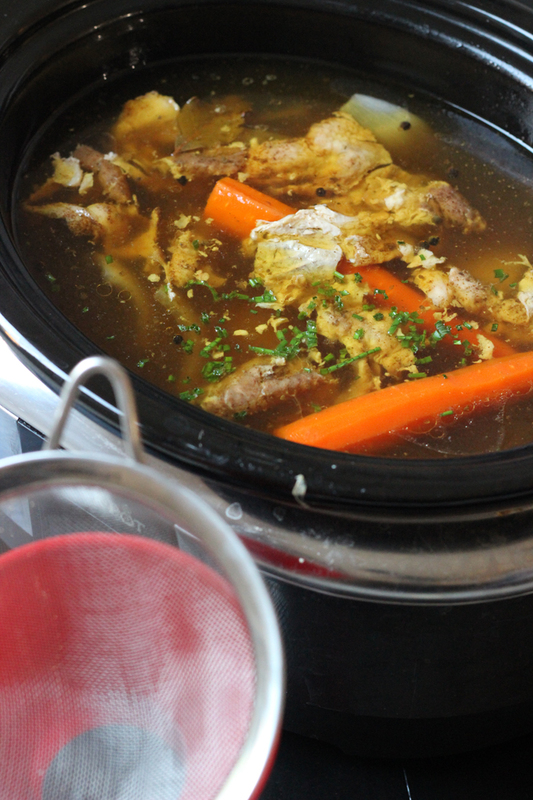 The process is pretty easy to make chicken stock, especially if you use a slow cooker. The traditional method of making chicken stock isn’t hard, of course, but it involves long cooking over an open flame, so using a slow cooker to make chicken stock is a little bit safer and foolproof. Are chicken broth and chicken stock the same? Chicken broth is made from simmering chicken meat in water with seasonings. Chicken stock is made from the bony leftovers of the chicken. Chicken stock is richer in flavor and may be more nutritious thanks fo the gelatin released from cooking the bones in water over a long period. 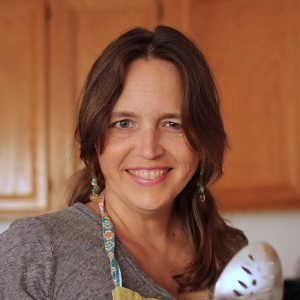 Can I use chicken stock instead of chicken broth in recipes? Yes, there is a slight difference in the composition of the two, but the basic purpose is the same. Both are a chicken-flavored liquid used in cooking. 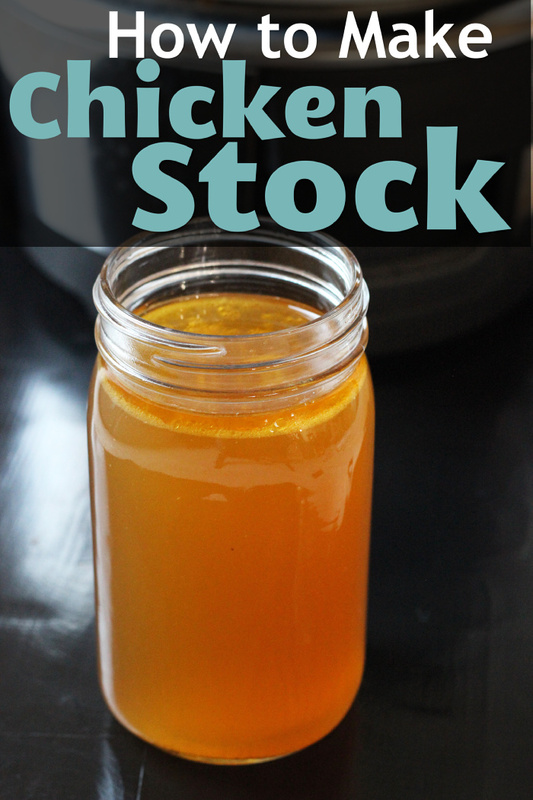 Is chicken stock the same as “bone broth”? Pretty much. The true definition of a broth is that it’s made from meat cooked in water, whereas a stock is made from the bones cooked in water. 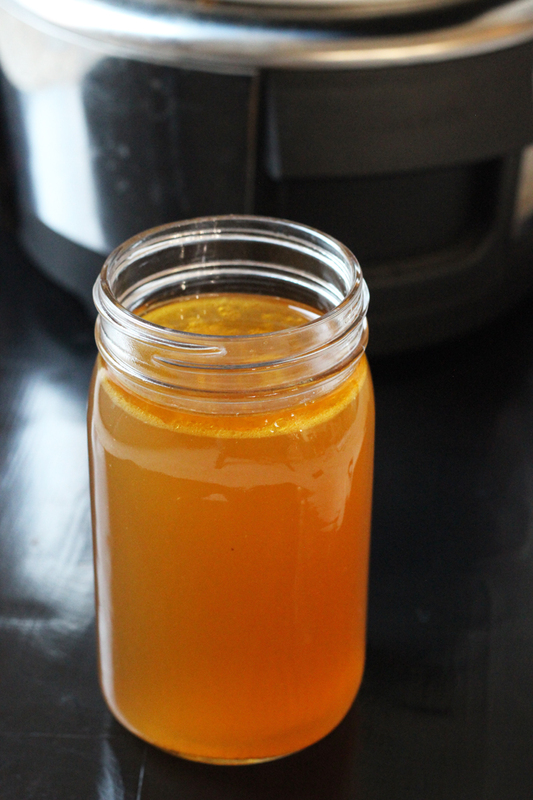 Bone broth, while hip and cool, is a misnomer. That said, there are ingredients to add to your stock or your bone broth, such as mushrooms, onions, garlic, herbs, carrots, and even sea vegetables, that will impact its flavor and nutritional composition. 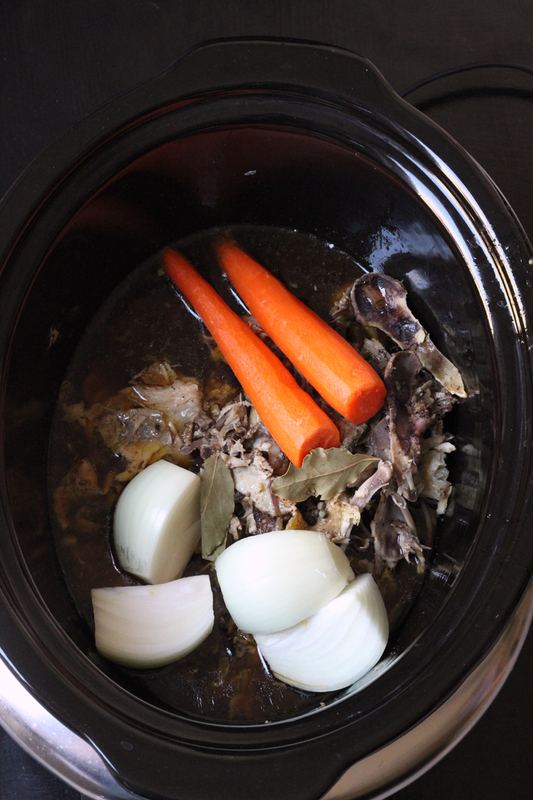 Today we’re going to cover standard chicken stock, made in the slow cooker. When you roast a chicken, a lot of the flavor is left in the roasting pan, in the drippings, skin, and bones that one doesn’t eat. These are valuable ingredients, friends, that you might otherwise throw away! What’s needed in addition to your chicken “leftovers”: water, salt, peppercorns, bay leaf, thyme, carrots, onions, garlic. You can add other vegetables and herbs, but there’s the basics. Combine these in a slow cooker and allow to cook anywhere from 6 to 24 hours. When it’s done, remove the solids, strain out any bits, cool, and package for freezing. If you’re short on freezer space, you can boil the stock down to a concentrate that you can “beef up” later with more water. Here’s a short little video that I made in 2009. No talking head, just a hands-only view of the pot — before those types of videos were cool. Ha! HIGH for 4 hours or on LOW for 6 hours or overnight. Strain the stock and discard the solids. Use the stock in your recipe as needed or pour it into containers and allow it to cool. To freeze: package the chicken stock into 2-cup containers and chill completely in the refrigerator. Remove any fat that rises to the top and discard. Freeze up to 2 months. Thaw before using. 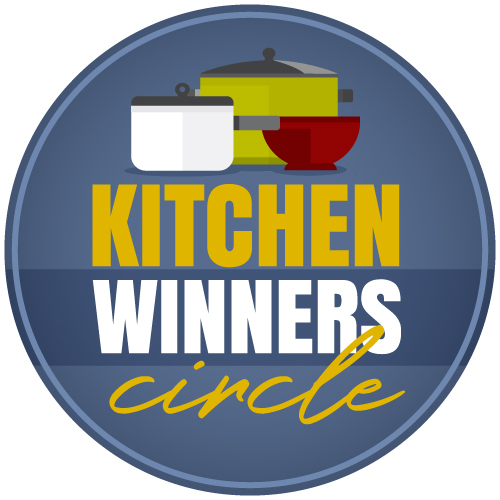 Note: if you don't have a slow cooker, place all of the ingredients in a large stockpot and bring to a gentle boil. Reduce the heat, cover, and simmer for about 3 hours. @ashly, yes, cool it first, then freeze in covered containers. What do you mean you strained it from the roaster? You roasted it in the oven and then took all of those drippings, strained them and then this is what you use in this recipe in the crockpot? I was wondering why you didn’t just throw everything in since you strain again at the end of this crockpot recipe. @TiaZhan, I don’t remember what I said in the video. It was a spontaneous kind of thing. But yes, you could strain it all at the end. So, did you cook it for 8 hours on low? Looks yummy! I usually do it overnight, but yes, 8 hours is fine. Sometimes less depending on what you have going. I have used this recipe a couple of times. I would love to print it out. Do you have it in print anywhere? Thanks! @Charlene, that is a good question. I think it’s in my cookbook. But, I don’t think it’s elsewhere.